Not entirely black, this hand painted glass subway 2×12 is much more than plain black. 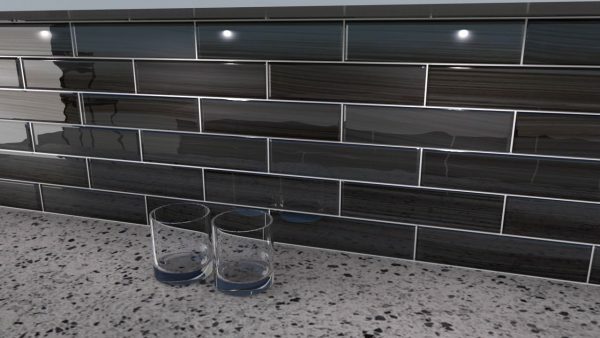 Touches of gray work with a cool palette for a black tile that is simply beautiful to admire. 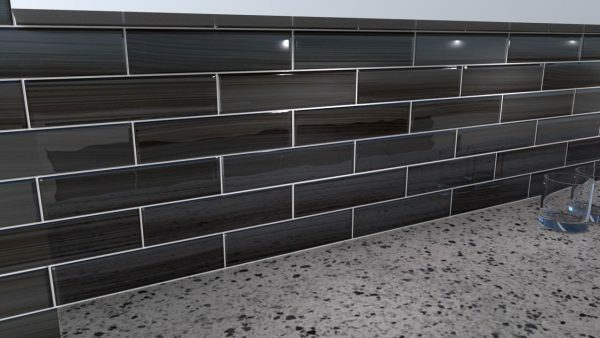 Ultra dark hues play as blacks in this intriguing mix of black and gray de-saturated wonderfulness.The 2×12 size is a contemporary shape that allows it to be used in smaller areas such as a trim around bathroom, or in larger areas such as the entire tubs surround or bathroom backsplash. The tiles come individually packaged so that you can choose to play with the pattern. 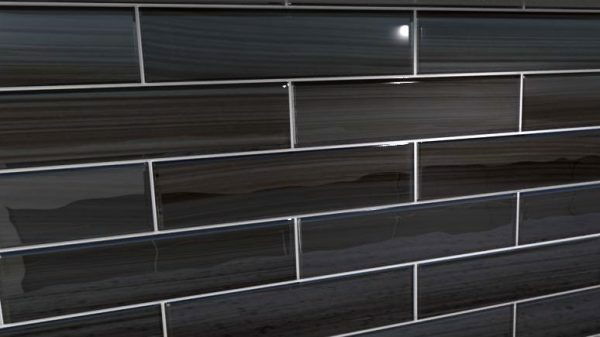 Either way you go, this tile will be the fantastic feature to your next bathroom remodel.